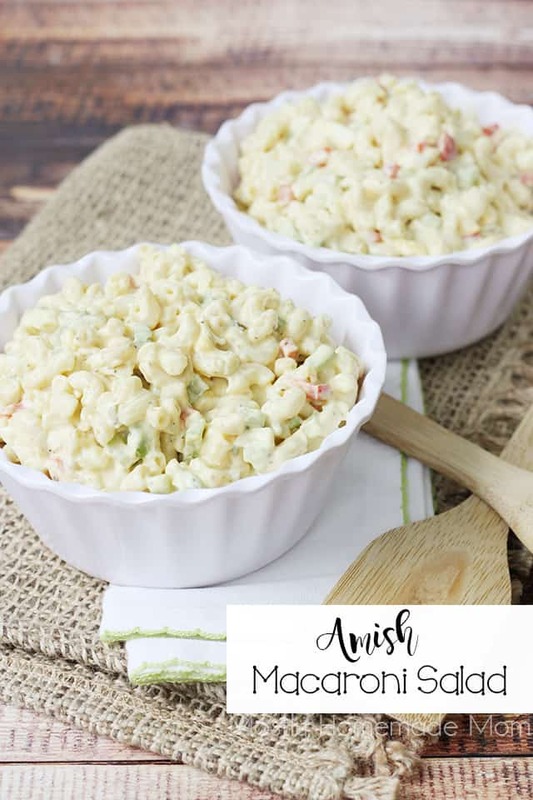 This Amish Macaroni Salad is great with sandwiches and cookouts! Macaroni noodles in a sweet dressing with peppers and onions – yum! 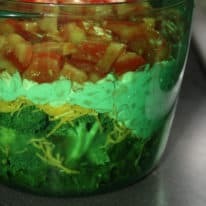 For as long as I can remember, our family has always had a “thing” for deli salads. I’m talking about pasta salad, potato salad, macaroni salad, etc. 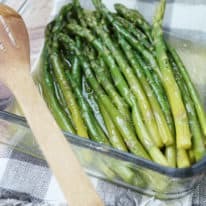 I feel like throughout my childhood I could always find those round clear supermarket containers filled with salads in the fridge. At my Grandmom’s house, too! All summer long of course. 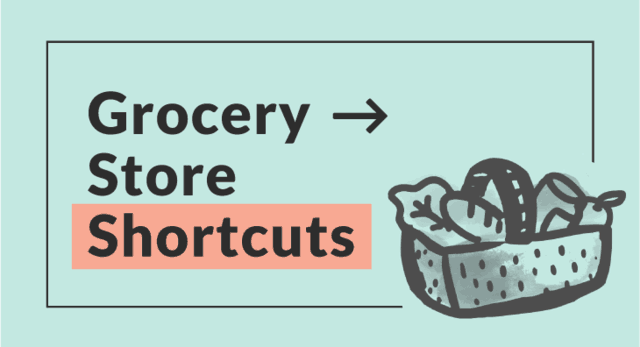 I can still remember the taste of Shoprite macaroni salad along with a grilled cheese burger – yay for summer!! 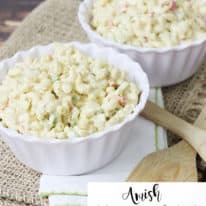 Typically Amish macaroni salad is sweetened and uses creamy salad dressing (like Miracle Whip). 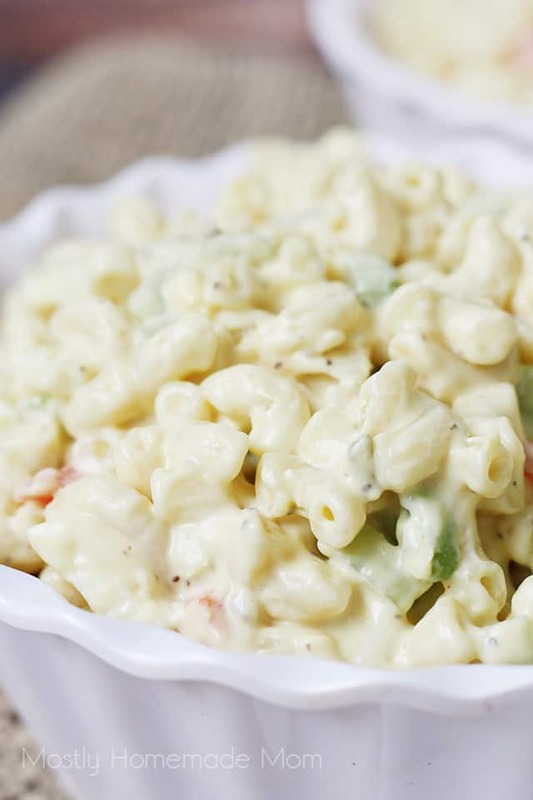 Regular macaroni salad typically uses straight mayonnaise and is more savory. My Grandmom always made hers with small canned shrimp and onions and is still one of my favorite summer time salads! This rule, though, definitely varies by region. 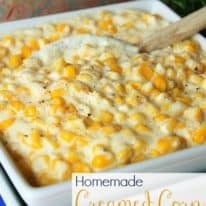 I know that when I moved out here to Lancaster County, PA, where actual Amish families live, this sweeter macaroni salad is usually labeled as “deli macaroni salad” so who really knows if it’s authentic to the Amish or not!Either way, it’s such a delicious side dish for spring and summer dinners and BBQ cookouts! 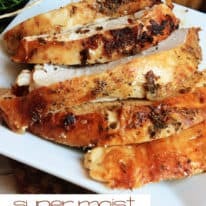 In a large bowl, whisk together Miracle Whip, mustard, relish, sugar, vinegar, celery seed, and salt. Gently fold in macaroni noodles, eggs, onion, celery, and bell pepper until ingredients are well combined. 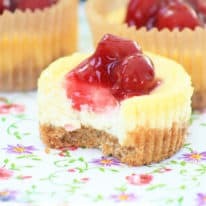 Cover and refrigerate at least two hours, or ideally overnight before serving. 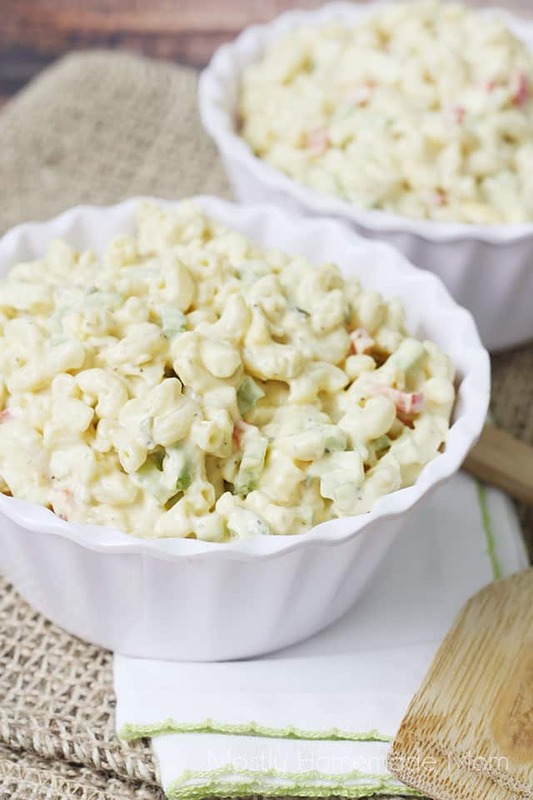 Save this Amish Macaroni Salad recipe to your “Side Dish Recipes” Pinterest board! I love your macaroni salad. Its the best i ever hard.